Up and out early, we went to Brandy’s Bakery in Flagstaff. It turned out to be a Triple D place and the food was very good. From there we headed to Glen Canyon. We lucked out and secured a campsite for two nights at Lee’s Ferry Campground in Glen Canyon National Recreation Area. This is not far from the Navajo Bridge where we hoped to see some California condors. 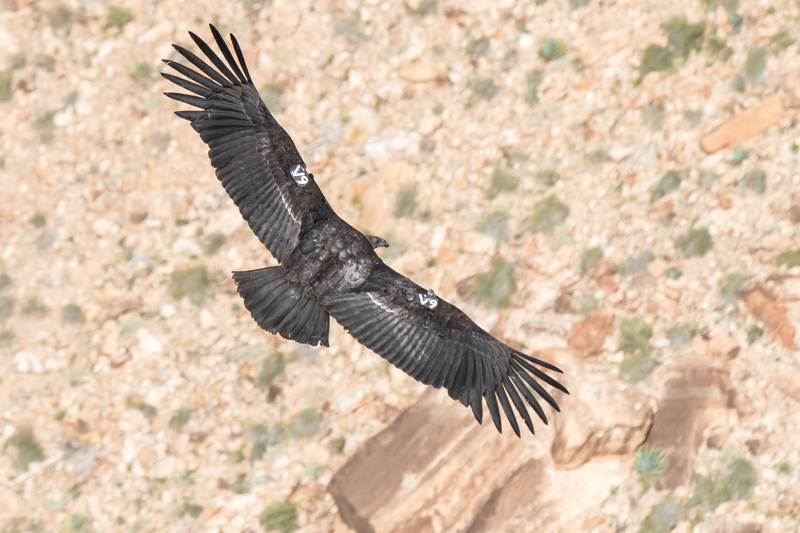 Once the site was paid for we went to Navajo Bridge to look for the condors and we spotted 12 condors overall! This was a huge bucket list item for me, to see and photograph these magnificent birds. 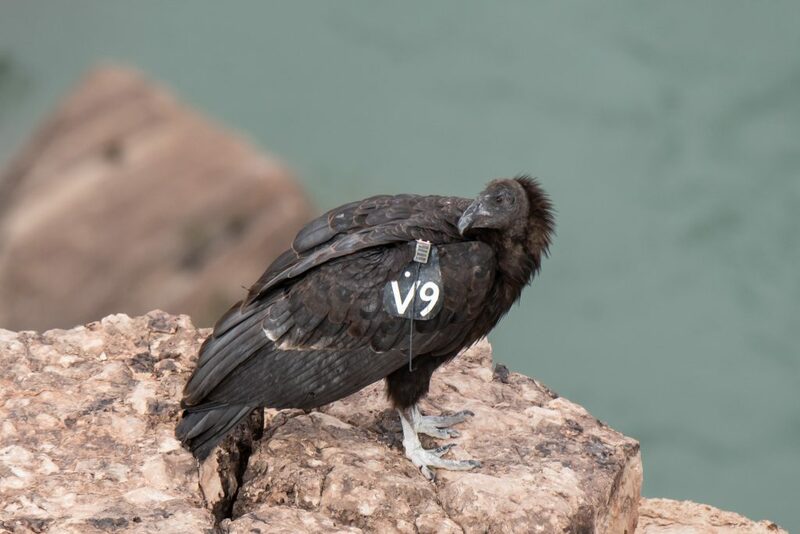 Young condor with radio receiver/gps for tracking. Adult condor flying over the Colorado River. 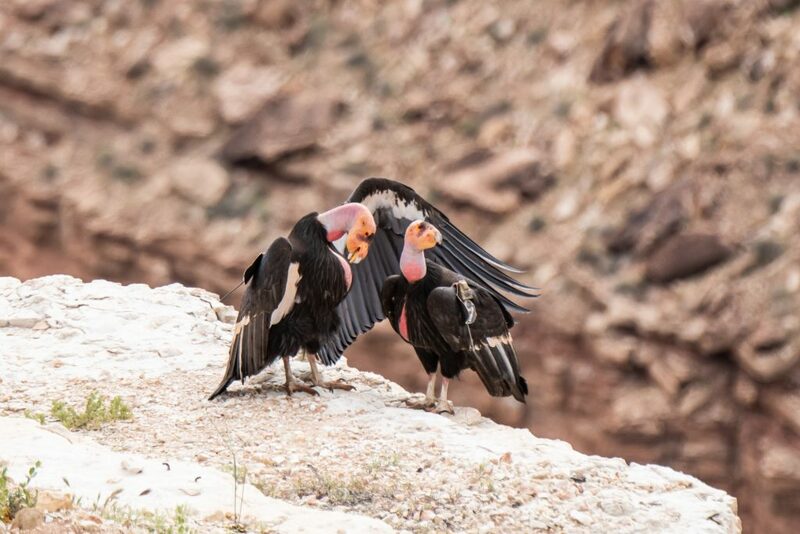 The California condor went extinct in the wild in the late 1980’s, but careful conservation of captured birds helped to reintroduce it to areas of Arizona and the Southwest. While its conservation status is still Critically Endangered, the condor has managed to survive in the wild, with a little help from man. 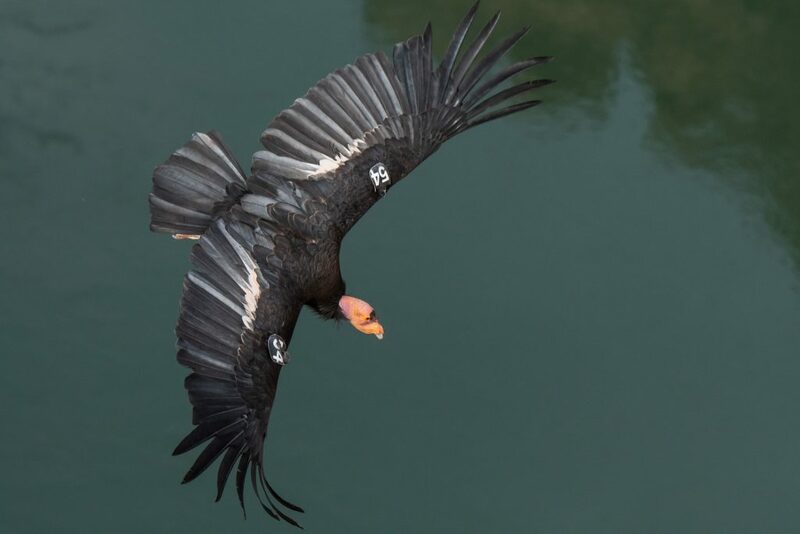 Did you know that the condor’s wingspan can reach up to ten feet? Elated from our experience, we celebrated by driving into Page for dinner at Dam Bar and Grill. We had pizza. The next morning we made a lazy morning of it, then went back to Navajo Bridge around 9:30, expecting to see nothing. We saw 11 condors and chatted with a professional photographer. 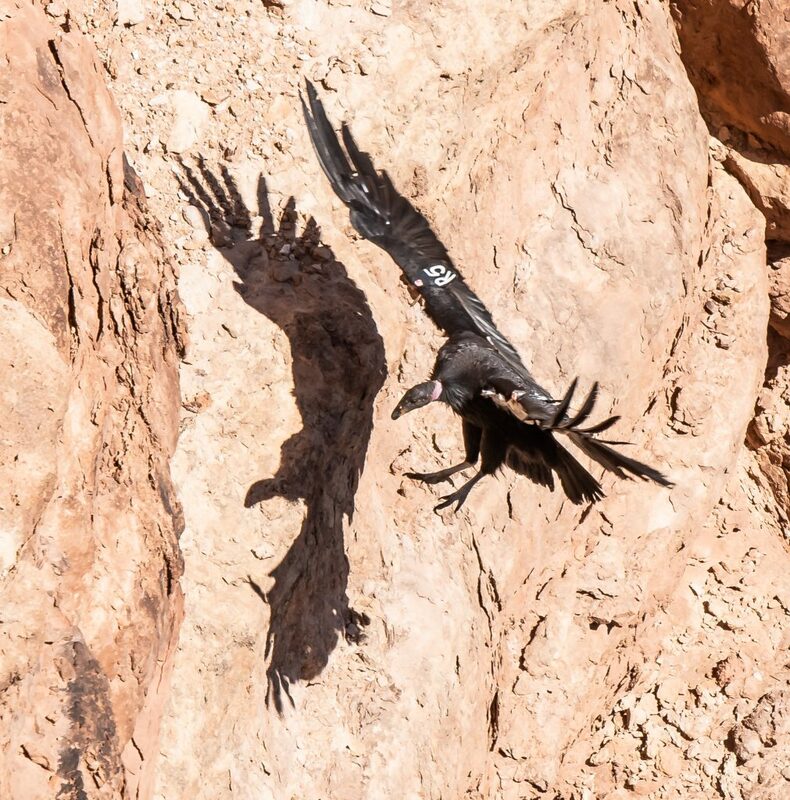 “Teenage” condor going in for a landing on the canyon wall. On Monday morning I woke up at 3:30am to use the bathroom. Before going back to bed I took a peek outside and couldn’t believe the night sky! I scrapped all intentions of sleep and quickly threw some clothes on and got my gear. Alan got up and walked out to see what I was going to shoot, then went back to bed. I could see the entire arc of the Milkyway with my naked eye! So naturally I spent the next hour shooting it. I went back to bed, but didn’t get back to sleep. Later, we got up and had a simple breakfast; Pop-tarts for Alan, and granola bars for me, then we made a quick stop at Navajo Bridge to count condors, we saw eight of them but didn’t take any pictures.